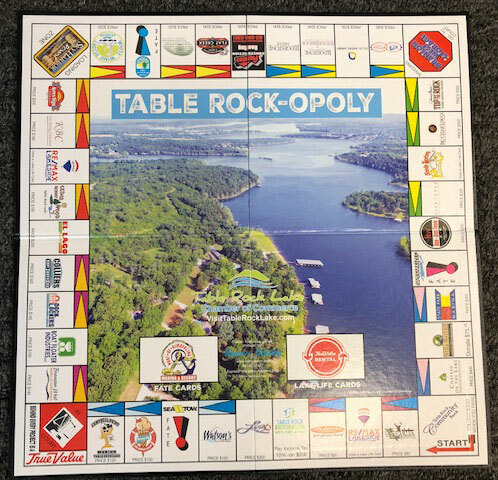 The First Edition, Table Rock-Opoly is now available, but only while supplies last! 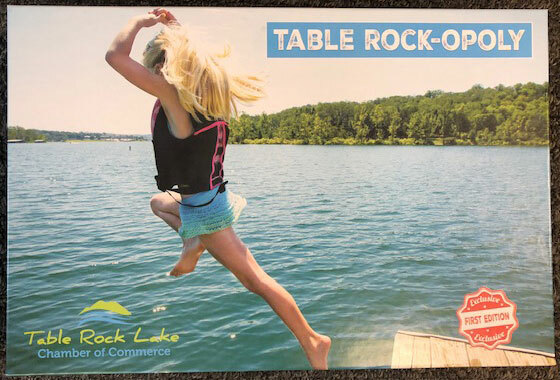 Just like your favorite property buying and selling board game, Table Rock-Opoly allows players to buy real estate and test their empire building skills... but while passing along squares featuring familiar Table Rock Lake area businesses. 1. Games may be purchased by clicking the BUY NOW button below, which will redirect to PayPal to securely complete your purchase. 2. A PayPal Account is not necessary to complete a purchase. On the PayPal login screen select use credit/debit card option. 3. Shipping will automatically be added for each game purchased online, $10 per game. 4. Games are shipped via USPS. 5. Game orders are shipped within 10 business days of order completion. You may also purchase games during normal business hours at the Table Rock Chamber of Commerce: 14226 State Hwy 13, Kimberling City MO 65686.